If you are an owner of the Samsung Galaxy Core Prime smartphone with unresponsive hardware buttons, or the buttons on your display no longer work, you can install the Virtual Button Bar application and solve that problem. The Virtual Button Bar gives you an on-screen hardware button emulator so you can continue pressing those buttons you need to use on your device. You can install the Virtual Button Bar and more after you root Samsung Galaxy Core Prime Value Edition smartphone by following the guide after the jump. 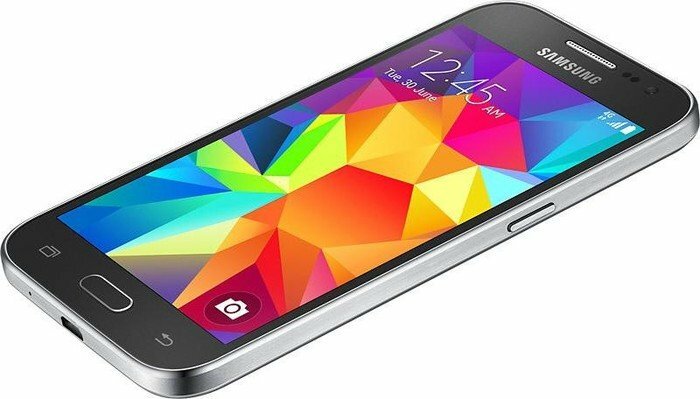 The following guides is how to root the Samsung Galaxy Core Prime running Android 5.1.1. Lollipop with the firmware build number LMY48B.G361HXXU0AOJ1. You should downgrade to that same build number if you want to follow this guide without bricking or getting the smartphone stuck in any bootloops. You can only follow this guide if you have the Samsung Galaxy Core Prime Value Edition bootloader unlocked. You must follow this guide on a Windows PC only. The guide does not work if you have a Linux or a Mac machine. Download the Samsung USB Drivers  for your computer from our USB Driver downloads page. make sure you install those drivers before starting the guide so you Samsung Galaxy Core device can talk with the Odin flashing tool and the computer at the same time. You are agreeing to void the Samsung warranty by following this guide. You can flash a stock ROM back on the device after you root it and flashing the stock ROM will get the warranty working again. That happens since you are successfully unrooting the device by flashing the stock ROM. Download the CF-Root tool for the Core Prime with model number SM-G361H from this link . Download the Odin flashing tool from this link . Extract both files to the desktop of the computer by right-clicking over the files and selecting the “extract here” option. Turn off the Samsung Galaxy Core Prime by long-pressing the Power button. Reboot in download mode now: press the Volume Down + Home + Power buttons and then press the Volume Up button when it says to do it from the display. You should see the ID: COM port light up a color and the “added!” message appearing from the Odin app on the computer if your drivers are working. Click the PDA/AP button and browse the computer for the executable CF-Auto-Root file for the G361H device. Click the Start button without Changing any of the default settings. Wait for the pass message and box to light up green and the device to reboot by itself. Once your Samsung Galaxy Core Prime reboots, you can check the app drawer for the SuperSU app and start installing your rooted apps from the Google Play Store. Additionally, you should find some apps coming directly from developer websites, and other from sources like App Brain to keep you occupied. Now you can find out what you need to install a custom recovery on the Samsung Galaxy Grand Prime Value Edition  smartphone so you can complete your customizing experience. A custom recovery and root access on a smartphone go hand-in-hand with one another since many things like a custom ROM and custom kernel often require having both to work.